The mobs who identify with football clubs called barra bravas have darkened the azure skies of Argentina at the precise moment when the world is watching. 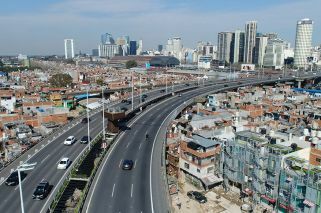 Welcome to Buenos Aires, to all of you who are here for the G20 Leaders Summit. I wish that you could stroll the streets at will and could enjoy all its splendours – and also witness its misery. For this is The City of Cities. One moment you are in Paris, the next in London. But take a taxi for a short ride and you can also walk into say, a self-made Bolivian city, La Paz at sea-level. There’s no splendour to be found in those places but you may well wonder at the ingenuity and the resourcefulness of people who have made a living space out of next to nothing. 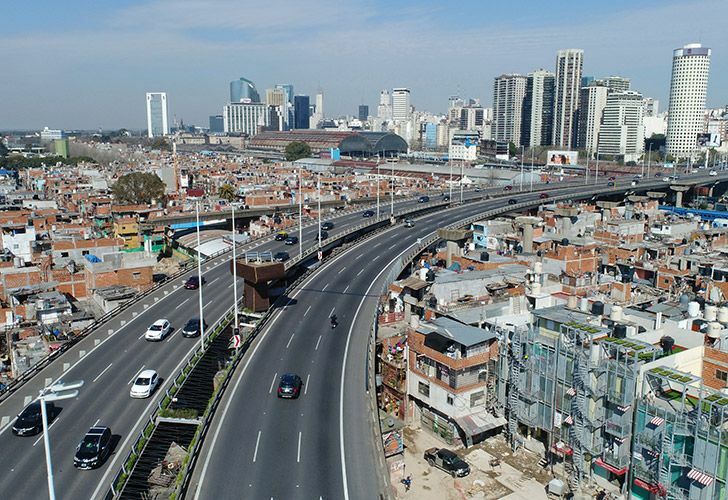 It is the antithesis of the proud and noble metropolis built on the banks of the River Plate that was created from the enormous agricultural wealth of the interior. If you could wander at will in Buenos Aires, you would get glimpses of most of the great cities of the world: New York, Boston, Madrid, Milan, even Budapest and even Miami. But you, our visitors, are be here at a difficult time. The city may seem to be under a spell, paralyzed by fear of violence. But it is fear of violence more than violence itself. The recent spate of angry clashes between police and organised mobs and fights between the mobs themselves who identify with football clubs called barra bravas have darkened the azure skies of Argentina at the precise moment when the world is watching. Now, as countless writers in books, essays and in multimedia have noted, Argentines are very concerned about what others think of them. When I first arrived in this country nearly 60 years ago there was a standing headline in La Razón, then the newspaper with the largest circulation, which read: “Como Nos Ven” (“How They See Us”). In fact, at the time, Argentina was not the focus of world concern. The column was usually about misconceptions about Argentina. In those days, there were still foreign newspaper editors who described Argentines as feathered Indians. Now that most of the world’s most prominent leaders are about to descend on Buenos Aires, there is a genuine reason for concern. The G20 meeting has been played up so much that in the public imagination it is seen as either the be all or the end all of Argentina. So while there was absolutely no reason to overplay the importance of what is essentially an overblown photo opportunity for presidents,and prime ministers within a gigantic binge for international bureaucrats, it’s now too late to put the event in its proper perspective. Now it is as if Argentina and the Argentine people, particularly the porteños, the citizens of the port city of Buenos Aires, have been put on trial. I think it is not a bad thing for people of any nation to find themselves under scrutiny, as long as it also involves self-introspection. Argentines have often shown themselves to be too prone to evade reality. Buenos Aires is, obviously, the city of Borges, but it also has elements of García Márquez’s Macondo, with all that that implies. A major problem for Argentines is identity, so if we start looking at ourselves through the many lenses of our G20 visitors, we may work out who we are or, failing that, at least who we would like to be. Thinking about the ordeal to come, I remembered a helpful book that was recommended to me many decades ago and which I have recommended to many others. It has an apt title: Those Perplexing Argentines. I know, not for a fact but generally, that most good jokes about Argentines are made up by Argentines themselves. And all Argentines like telling jokes about themselves. For example, Pope Francis has a stock of politically incorrect Argentine jokes that he likes to tell. So I say to our visitors, Scorn not our city, nor our nation. We are young and complicated. Just enjoy your stay. There is much to love here – particularly those perplexing Argentines.